Jackson Moore -- sinner or saint? One harrowing night a decade ago, the notorious biker rode to Rochelle Tremont's rescue, and the grateful schoolgirl tasted paradise in the hellion's arms. 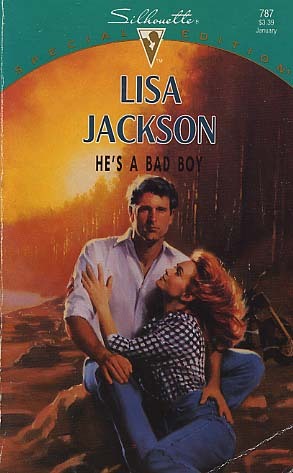 But amid murderous scandal, Jackson thumbed out of town, leaving Rochelle's reputation in tatters and a village's verdict that the boy was no damn good. Now Rochelle was revisiting that pain-filled past, and sinister rumors once more swept Gold Creek as an older, bolder Jackson tempted her with forbidden fruit. Paradise regained -- or a plunge into peril? The truth was as elusive as the mists off Whitefire Lake .. . .